Verizon -- one of the biggest corporations in the US -- is asking regular people to help it build its 5G network. To be clear, Verizon Communications Inc. (NYSE: VZ) isn't asking regular people to help it physically build its network. Instead, it's hoping to encourage people to contact their local representatives to "support the immediate rollout of 5G wireless service in our community." "Think your city should get 5G? Say so," Verizon writes on its new "Let's 5G" website. The website encourages users to sign their name to a petition supporting the buildout of 5G networks. After users sign the form, they're then encouraged to share this message through Twitter or Facebook: "Local lawmakers are deciding, right now, whether to fast track a new 5G network that could transform our community. If you want ultra-fast 5G, say so -- I did." So why is Verizon trying to get regular people to sign up as "supporting" 5G? The question is worth asking considering the operator's new advocacy effort is apparently important enough to warrant a post written by the top two deputies of Verizon's CEO: Ronan Dunne (chief of Verizon's consumer-facing division) and Tami Erwin (chief of Verizon's business-facing division). "As leaders at Verizon, we're thrilled to see years of detailed planning, testing and collaboration come together to yield a true 5G network that's available today for both consumers and businesses. But we're more than business leaders... we're just as excited as parents, neighbors and active members in our communities to see how 5G will positively impact lives -- in places like schools, hospitals and local businesses," they wrote in the post, without providing much in the way of detail for Verizon's advocacy effort. "We're excited about 5G, and want you to be as well." 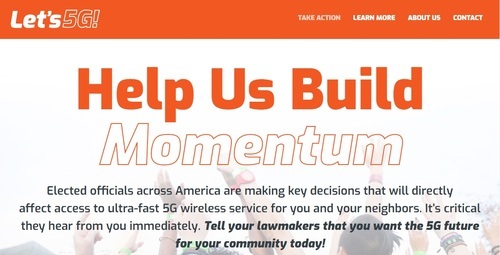 A screengrab from the home page of the Verizon-led "Let's 5G" advocacy site. What is likely the real purpose of Verizon's new advocacy effort may be reflected in the Q&A portion of the "Let's 5G" website. Alongside questions about autonomous vehicles and IoT are questions about whether 5G poses a health concern, as well as how it will be physically deployed in neighborhoods. "Designed to blend into the environment, these 5G antennas hide in plain sight on things you never notice -- like utility poles and street lamps," Verizon promises. And is 5G safe? "All equipment used for 5G must comply with federal safety standards," Verizon states. "Those standards have wide safety margins and are designed to protect everyone, including children. Everyday exposure to the radio frequency energy from 5G small cells will be well within those safety limits, and is comparable to exposure from products such as baby monitors, Wi-Fi routers, and Bluetooth devices." It's worth noting that a recent detailed investigation by Vox into the science around the health effects of wireless transmissions, including 5G, found that the research in the area is not conclusive. 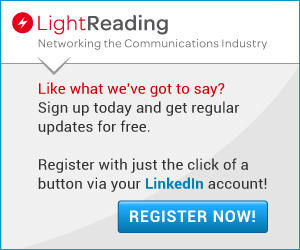 Thus, in reading between the lines, Verizon's new "Let's 5G" advocacy effort appears to be an attempt by the operator to counter local opposition to its 5G network buildout. Indeed, that opposition has been relatively well documented. CNET, for example, wrote a long article last year about residents in Oakland, Calif., who were upset with Verizon's plans to install new wireless transmitters in their neighborhoods. And local publications -- stretching from Eugene, Ore., to Lavallette, N.J. -- have written similar articles. But, to be clear, Verizon isn't the only company to embark on a public relations push over 5G network deployments. For example, Wireless Infrastructure Now was launched last year by Jim Madaffer of PR firm Madaffer Enterprises, while small cell vendor Crown Castle International Corp. (NYSE: CCI) is funding the Texas 5G Alliance. Further, Verizon's new Let's 5G advocacy effort is wading into an issue that is rapidly maturing. For example, Michigan, in December, became the 21st state to enact "proactive" small cell legislation, according to the Wireless Infrastructure Association, a trade group that represents the nation's tower companies. "SB 637 will lead to economic growth and greater investment in next generation 5G wireless broadband throughout Michigan," the group stated. Michigan joins a growing list of states that are enacting legislation that essentially makes it easier and cheaper for companies like Verizon to install small cells and other wireless networking equipment for 5G. However, that action sparked a backlash from a number of cities that argued the the federal government should not issue rules for how small cells should be installed at a local and neighborhood level. And, further clouding those guidelines by the FCC, are concerns brought up by some lawmakers that FCC Chairman Ajit Pai may have worked with the wireless industry to "game the judicial lottery procedure" so that lawsuits against the FCC's small cell order would end up in a court that has previously sided with the FCC's viewpoints. Perhaps not surprisingly, all of this back-and-forth is absent from Verizon's "Let's 5G" website.